I can't be the only one around here that loves a good mechanical keyboard. I got into them a few years ago at the prompting of a couple of great friends. One of them (hi Bob, if you're reading this!) literally gave me single Cherry MX switches of each colour/type to play with, and didn't stop talking to me about keyboards until I gave in and got one. I'm glad he bullied me. In recent times my mechanical keyboard fetish has escalated, with custom keysets, a keyboard I'm building myself almost from scratch, and a 60% board all either on my desk or on the way in the coming months. One of the keysets arrived today and I'm currently typing this to you on the board I've put them on, and they're glorious (PuLSE SA if you want to do some Googling). Anyway, thought I'd kick off a thread because I'm obsessed. As well as that Filco Majestouch (formerly a Ninja, now with the PuLSE SA caps), I've got a Pok3r (both with Cherry MX blue switches, CLACK CLICK CLACK), and there's an Ergodox Infinity (with MX blues) on the way, with custom keysets for them both arriving later in the summer. There's a surprisingly large community around mechs, with hand-made artisan caps, custom cases, fully custom boards with modular programming and lots more. It's one of my more enjoyable hobbies these days, given I'm sat at the computer all the time. Might as well type on greatness. Cyan, RancidLunchmeat, Silent_Buddha and 2 others like this. Not at your level by any stretch but I do love them. Wouldn't use anything else at home. But - I do hate other people having them in an office environment - most are pretty loud! Pretty much everyone in the CPA team has a Filco with noisy switches. We sit with headphones on for most of the day, so I think we've managed to tune it out or get used to it. If anyone's genuinely bothered by it, they haven't said in a long time. I've caught the bug recently. Bought a couple of mechs, one for work one for home. Planning on changing the switches to Gateron Clears. Bought two sets of http://www.mechsupply.co.uk/product/dsa-royal-navy to go on them. I'm in to TKL at the moment, but I'm quite tempted to buy a Clueboard, I like the idea of building my own. I've been thinking of giving one a try, I've been using low-profile keyboards with laptop style keys forever. Which mechanical keys are the ones that are firm but quiet? I can't have the clicky-click, it'd drive my wife nuts. You probably want MX Red or Black switches (from the Cherry MX range at least). I'm not that familiar with other switch types if I'm honest. Maybe nutball has an idea. I'm also coming from a laptop so a full-hit mech has been a bit of a shock. I'll be honest I'm still adjusting. How firm are you wanting? 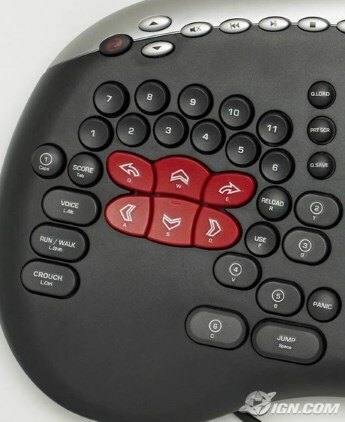 Like Rys said MX red or black is probably best if you want smooth without the click. You can buy O-rings that fit on the stems of the switch and reduce both the travel of the key and the noise. You can get the Logitech G710/+ (+ uses brown switches, non + uses blue switches) which has O-rings fitted to the keycap stems to prevent them from bottoming out with a clack. If you do that go for the brown switches as they have a lower noise profile and lighter actuation force needed. Still noisier than icky standard rubber dome switches, but quieter than standard Cherry MX switches of the respective color with most of the Cherry MX feel. I've been using mechanical keyboards for quite a few years now. The switches I currently use are MX Browns as they are a little more conducive to gaming than the blues while still having good endurance typing characteristics. The blues are better for lots of typing, however. Reds and blacks are better for gaming, but not as good for lots of extended typing. But that said, Blues are just a replacement for glorious buckling spring switches (like the old IBM Model M). Unfortunately the IBM Model M isn't made anymore which is why the Cherry MX Blues became so popular. Otherwise you had to either buy a used IBM Model M off E-bay or find a relatively expensive modern keyboard using buckling spring switches. However, thanks to reddit, I recently found out there's actually an affordable maker of keyboards using buckling spring switches. And, inevitably, they had to also make them as ugly as the old IBM Model M keyboards as well. Unfortunately, good luck finding custom keycaps. I'll be picking one of those up in the next month or two. My fingers and hands are tingling in anticipation. My neighbors may not forgive me though. was manufactured in 1991 (25 years old on 7 June) and a friend rescued it from a skip in the late 1990s for me. A proper keyboard. No stupid Windows key getting in the way, either. CarstenS, Gubbi, nutball and 4 others like this. Yeah, there's been lots of similar projects over the years hence the "relatively expensive modern keyboard using buckling spring switches." I love my keyboards, but not quite enough to spend over 300 USD on one. Often very tempted to, but not enough temptation to pull the trigger. Just started using a mechanical keyboard about 6 months ago, only switched because my Logitech keyboard died, and reading all the praises of them. Using the new "Cherry MX Silent Red" switches, never used any other switches, so I can not make a comparison. Not entirely appropriate for this thread, but it feels almost the same - I got myself a Belkin Ultimate Keyboard Pro case for my iPad Air 2 and it types incredibly well. I really love it, I now find myself back to resenting ever having to type on the touch keyboard again. It also makes such a huge difference not sacrificing the screen space for the keyboard. Really happy about this and can't recommend it enough. It can still easily detach and work as a separate Bluetooth keyboard as well, and it doesn't have any of those annoying typing start delays that others have, as it is triggered by a magnet on either the iPad cover part or one that you can just flip over from the keyboard that otherwise supports the cover. It also works great in both portrait and landscape mode. Anyway, you can read a review on the thing if you're interested as all the pros (hardly any cons) are in there: near infinite battery life, pair with multiple Bluetooth devices, etc. 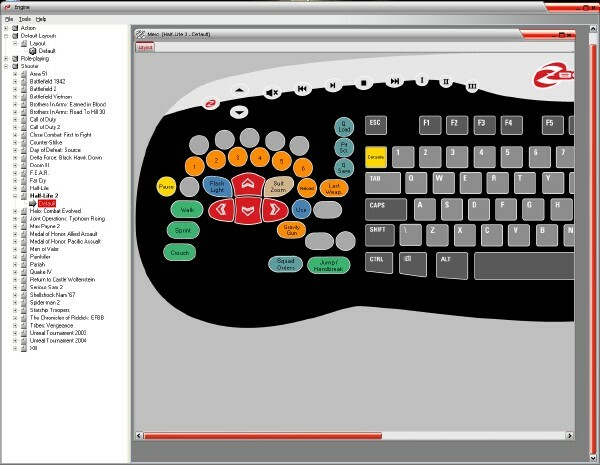 By the way, typing.com seems a pretty nice training website that's really easy to use. I did a one minute test there with my new keyboard and scored 82 WPM with 98% accuracy. Will try it on a regular computer later. EDIT2: measuring with touch screen keyboard is harder. I have issues with capital letters getting stuck in particular for second letters of capitalized words and the test would be more useful if it allowed the autocorrect to weigh in. Every key (not just the additional ones) is not only remap-able but programmable right down to the millisecond so programming a key (and the delay between key-presses) to execute a combo in a fighting game is really easy. The keyboard auto loads the correct profile when you run a game and unloads the profile when you exit the game. I'd been told about Kinesis by one of the IT guys 10 years ago when I started & was getting the OK to rearrange one of the cheap office keyboards for Dvorak. Had been lusting after it ever since but far too scared to fork out cash for one (even 2nd hand are US$299). 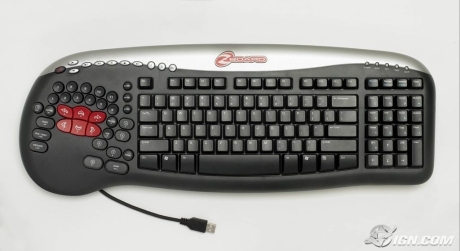 Then one day the current IT boss walked into my area with a cardboard box from the basement, said 'I've found something you might like' & pulled it out (me being notorious as the only Dvorak user in the office & regularly extolling the virtues of my funny keyboard at any chance, yeah I'm like a keyboard vegan ). It took a lot of getting used to & up to speed with the odd layout (particularly I tend to get my thumb placement/order confused for backspace/delete/enter/space which can create some deeply frustrating delays to sort out) & a couple of buttons that don't map properly to the Windows Dvorak profile (its got hardware Dvorak switching but I found it generally works better with the Windows profile), had to actually learn to use the number row rather than switching to number pad since it doesn't have a separate one & copy/cut/paste are pretty awkward. When I left they let me take it home, heathens would have thrown it away otherwise. Minor miracle they hadn't sometime in the preceding 10 years. Actually haven't used it for coming up a year now since the layout is not really great for gaming. The feel is actually not that much different than a membrane one but a bit audibly clicky when the speed cranks up which does give some flashbacks to messing around on old BBC computer at primary school. Edit2: ok so the problem is my using the Windows Dvorak language, setting to US international & using the hardware switch the keys do map properly. Happiest thing I've read in a while! Not only that messes up WASD (ZQSD), the number row is toast too and getting the weapons on 1, 2, 3 etc. can be difficult. Yes the game could be localized but with random stuff and demos and open source there's still tons of English-only stuff, that all defaults to QWERTY. Dreaming of a laptop with a thick keyboard! Very unlikely, but if there were a $500 laptop except the keyboard is great and the laptop costs $600, that'd be the best deal ever. My desktop keyboard is a bit embarassing but the keys are hard (membrane), the Windows logo is old and I can bang it at will.